Software-as-a-Service (SaaS) has taken the technology world by storm. Nowadays, all new software companies are SaaS, which simply means they are based in the cloud and have subscription pricing. With the exception of mobile applications and e-commerce, almost all new companies are following this model. It is not surprising. The benefits of SaaS over older models of software delivery are clear. Cloud based software can be updated and improved much more rapidly than on-premise software, with a fraction of the cost of maintenance. Subscription pricing means that revenue continues to roll in month after month for the entire life of a customer. What is not to like? Spend a few days every month trying to follow the latest SaaS metrics fad, based on blog posts like this*. They are searching for the perfect metric to compare themselves against other SaaS businesses. Try desperately to reach a mythical MRR milestone that will magically open the door to raise their Series A. Spend time meeting the best “SaaS” investors, even if those investors are completely unfamiliar with their space. 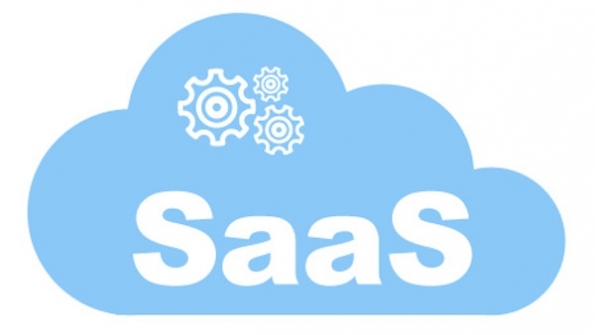 The ironic reality is that there is no such thing as SaaS anymore. SaaS has become so pervasive that the term is the equivalent of “Internet” or “Web” or “Software”. There are SaaS companies across every vertical, every market. Some charge millions of dollars a year, others charge $5 per month. Some are profitable with only 5 customers, others have 500,000 customers and still are in the red. SaaS no longer means anything because the world of SaaS has become too large. Those SaaS founders I mentioned earlier are under abnormal stress because they are chasing the myth of a “typical” SaaS business. There is no such thing as a “typical” SaaS business, and all of the fancy metrics and analytics you hear about are attempts to normalize and compare SaaS businesses that are completely different. The only ones who benefit from such normalization are investors who want help in picking and choosing which companies to support. As a founder, you only care about one business: yours. The good news is that the world is much simpler when you abandon this myth of the “SaaS Business”. Your business, while it might be SaaS, is not governed by new, complex metrics, but by the The Most Important Equation for Your Business. Your MRR does not matter, there are businesses raising Series A rounds with $0 MRR everyday. What matters most is The Only Thing That Matters, just like with any other business. Investors will look at your rate of growth first and your MRR second. In short, you are building a business. Just because it is SaaS does not mean the rules are different. It only means that there might be more distractions. Do whatever is right for your business. Then, when you are successful, do not be surprised when another founder tries to model themselves after you. It is SaaS, after all. Previous What Do Technology Late Adopters Know That We Don’t?